Think Pawsitive follows a gradational program of classes. 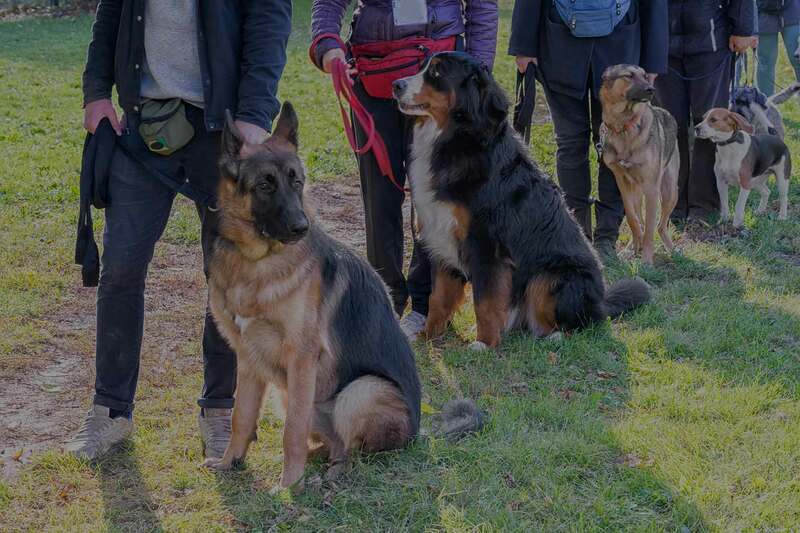 Courses are cumulative, building towards the ultimate goal of our students attaining complete understanding of our methodologies, philosophies and achieving the best possible relationship and performance with their dog. For this reason, prerequisites have been established for each class and are mandatory. By following this progression, students will minimize potential struggles and misunderstandings and maximize their success. This also keeps classes moving along at the same level without having to spend an inordinate amount of time on review of prerequisite skills. Students are invited to retake classes as many times as necessary to achieve an expected standard of mastery before moving on. Our training philosophy, strategy and protocol are significantly influenced by some of the best dog-training mentors in the world. Among the greatest contributors are Susan Garrett, Susan Salo, Greg and Laura Derrett, and Anthony Clarke. Please refer to the following tabs for more information about our training classes, policies, and teaching methods. 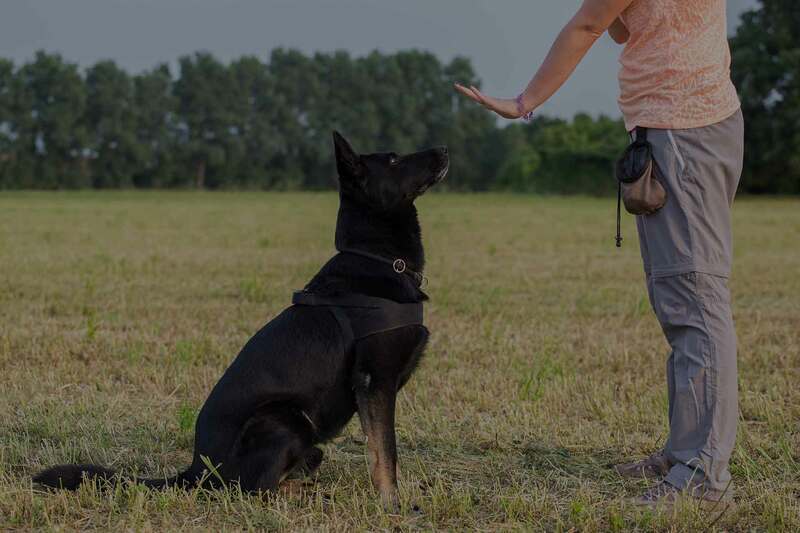 The training methods used are solely based on positive reinforcement with no physical or verbal corrections. We use operant and classical conditioning to train dogs to problem-solve and think for themselves. A variety of treat and toy rewards reinforce the desired behaviors and strengthen one’s connection with their dog. We respectfully ask that you do not enter or train in our building with your dog wearing either a pinch or choke collar of any kind and refrain from any use of physical or verbal punishment. You may use a flat-buckled collar, martingale style collar, harness or head halter. Crates are used throughout our facility for the safety of your dog. Full payment must be made at the time of registration in order to hold a spot in the class. If you need to cancel your registration, there is a $75.00 non-refundable fee unless we can fill your spot. All class fees are due by the start of the first class and are non-refundable once the class begins. Special incentives are offered to Think Pawsitive Members and for referring friends to our facility. Please ask about the details from one of our staff members at the time of registration. Homework to get started on before your first class! Thank you again for enrolling in class! We are honored you have chosen Think Pawsitive and we are truly looking forward to starting your training journey with you and your dog! Well-mannered children are welcome to attend and audit/observe our classes, but must be accompanied and supervised by an adult. Children and dogs may not be left unattended anywhere in the facility. If at any time Think Pawsitive staff feel your children are interrupting or distracting our clients or classes, we will respectfully ask that your children no longer attend. Due to the interactive nature of the classes, children under the age of 13 are NOT allowed to participate in any exercises with a dog. Children over the age of 13 may participate as long as only one handler interacts with the dog for any particular exercise. A number of our exercises are too advanced for many children to quickly grasp. These exercises are better taught to children with guidance and patience from their guardian or parent at home and only after the adult has learned the techniques in class and become comfortable with them.